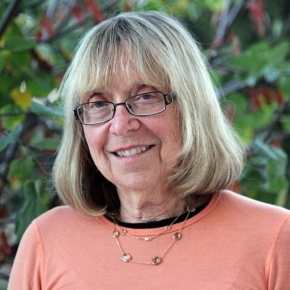 Esther Wojcicki is a internationally known journalism teacher and the founder of the Palo Alto High School Media Arts Program, a program that focuses on empowering students through the use of media (newspaper, magazine, yearbook, websites, video production, photography, radio, & television). The program started in 1984 with an already established (1918) 6 -8 page newspaper and 19 students; it has grown to become one of the most distinguished and the largest scholastic media program in the nation today (2016) with 600+ students, five additional teachers, nine publications, and a new 25,000 sq. ft Media Arts Center (2014). Esther is a Distinguished Visiting Scholar at MediaX at Stanford, a 2009 MacArthur Foundation Research Fellow, ; the 2002 California Teacher of the Year by the California Commission on Teacher Credentialing; the 2011 Charles O’Malley Award recipient from Columbia Scholastic Press. In 2013, she was awarded an honorary doctorate from Palo Alto University, and in 2016 an honorary doctorate from Rhode Island School of Design. In November, 2016 she was awarded the MyHero Award for her work in global education. She has been a speaker at multiple conferences including TED (2015), G20 Summit, and Singularity University Summit. She co-authored popular education book on blended learning entitled Moonshots in Education: Launching Blended Learning in the Classroom (2015) that explains a way to revolutionize education for the digital age. Her focus is give student agency in the classroom to empower their creativity and innovation skills. She is also the mother of Susan Wojcicki, CEO of YouTube, Janet Wojcicki, Professor of Pediatrics at UCSF Medical School and Anne Wojcicki, CEO of 23andMe. She is married to Stanford Physics Professor Stanley Wojcicki. She and her husband are proud graduates of UC Berkeley. They have nine grandchildren.